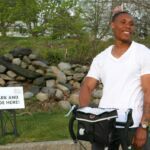 Heard about the Pilot Bike-share Program in Newport? This weekend, the City of Newport will have a brief two-day taste of bike share – the popular public transportation system that is popping up in cities nationwide. With bike share, people can borrow a bike from one dock and return it to another dock, making it possible to use shared bicycles for short-term point-to-point rides, often in place of cars. 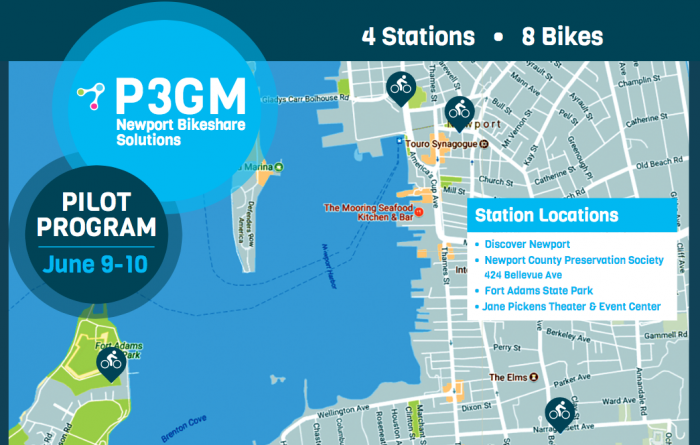 In Newport, the temporary bike share installation will be provided by P3 Global Management (P3GM) and will include eight bicycles and four docking stations. The stations will be located at the Gateway Visitors Center, 23 America’s Cup Ave; Jane Pickens Theater, 49 Touro Street; Preservation Society, 424 Bellevue Ave; and Fort Adams Visitors Center. The bikes will be on site at Jane Pickens Theater on Saturday, June 9th, when at 10:00am, they become available for use. All interested are invited to be present for the welcome and comments by P3GM and local partners, and to be the first to ride Newport’s first shared bicycles. To use the bike share bikes, users should first download the Noa Rider app for smartphones. Information is available online at www.newportbikeshare.com and on site at the docking stations. 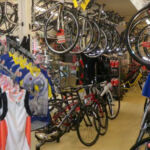 People with the app will be able to see where available bikes are located. 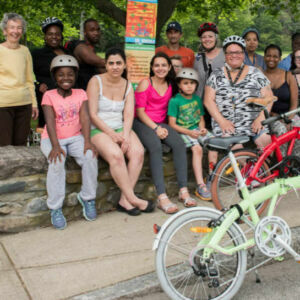 P3GM is title sponsor of Elliot’s Ride for Everyone, taking place on Sunday, June 10th – and is bringing the bike share program to town as part of this annual community bike event. 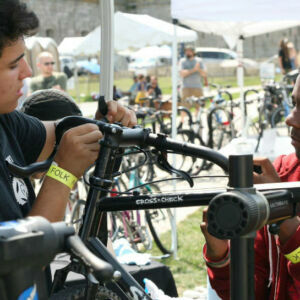 On Sunday morning, all bikes will be moved to Fort Adams to be available for riders at the event. After the ride, the bikes will again disperse around the city and among the stations. 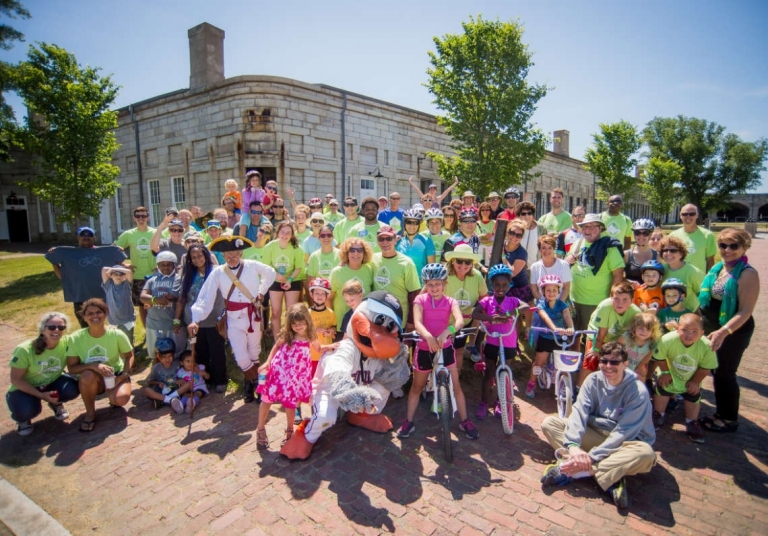 Elliot’s Ride for Everyone is a program of the local advocacy organization, Bike Newport. 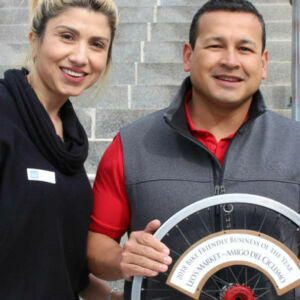 All funds raised from event sponsors and donors, and from the two-day bike share program, will be contributed to the Elliot Kaminitz Bicycle Safety Fund and will support bicycle safety educational programs run jointly by Bike Newport and the Newport County YMCA. 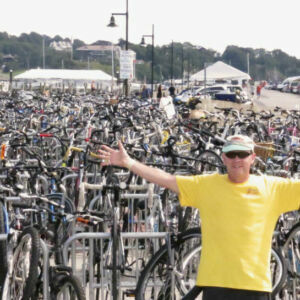 For more information about Elliot’s Ride, visit www.elliotsride.org or call Bike Newport at 401-619-4900.